Jason Schall is a two-time winner of the Sportsmanship Award, having first received the honor in 2014. Since then, Schall has become an IGFA Representative for the state of South Carolina and taken on the voluntary role of South Carolina Department of Natural Resources Certified Fishing Instructor. He is responsible for traveling around the state to speak and educate children on fishing best practices and conservation, hosting family fishing clinics and tournaments, and sharing his passion for fishing with a new generation of anglers. Schall has joined the Cabela’s Pro Team and, along with his wife Jennifer, distributed 500 donated rod and reel combos over the past year to children who otherwise wouldn’t have any fishing gear. 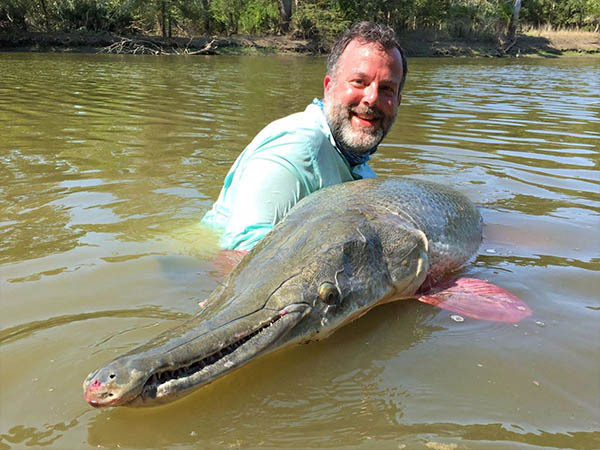 He has caught and released over a dozen IGFA World Records since he last received this award and, in the past year alone, has reached 4,000 people through his workshops and seminars, promoting conservation, sportsmanship and proper angling techniques.